Creative and unique! 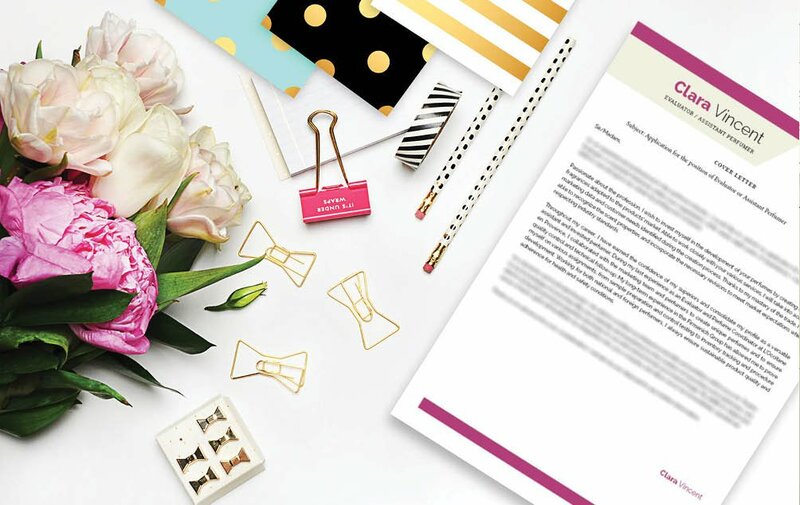 This cover letter template will make you stand out! 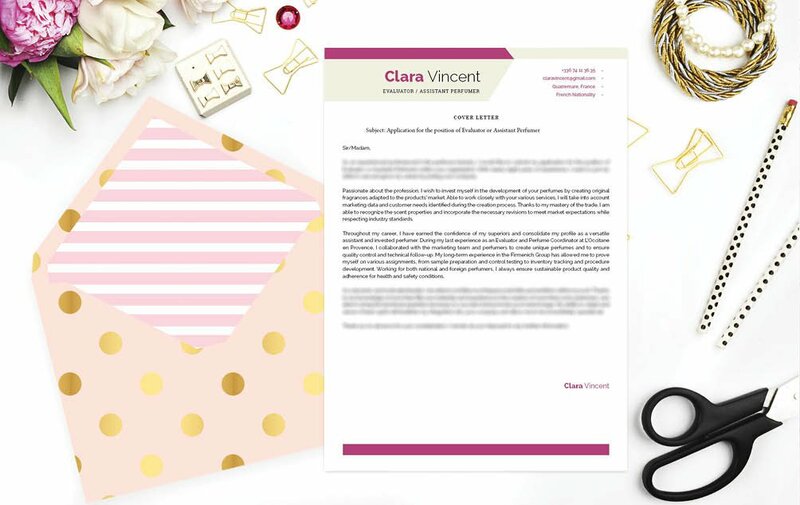 Cover letter to download "Cosmetics"
The LM 19 template has a clean and simple design that is sure to impress any hiring manager. 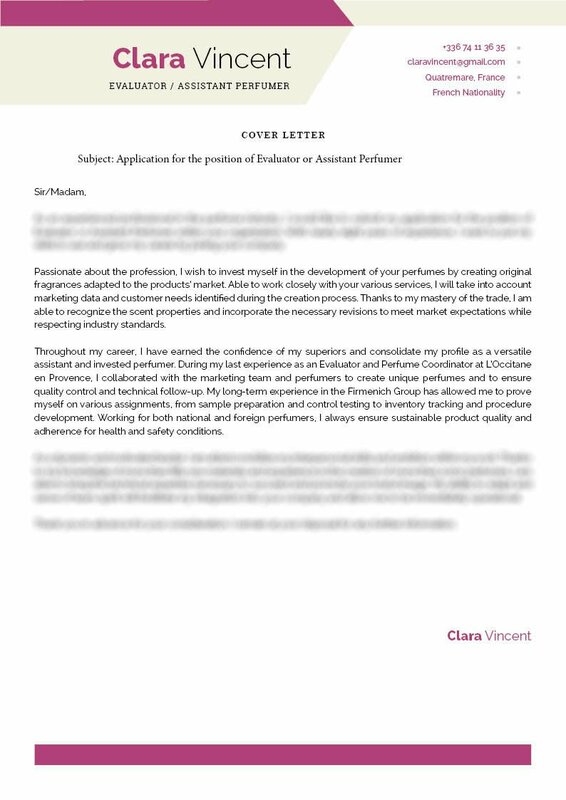 This simple Cover letter template has a professional layout, perfect for any type of job. 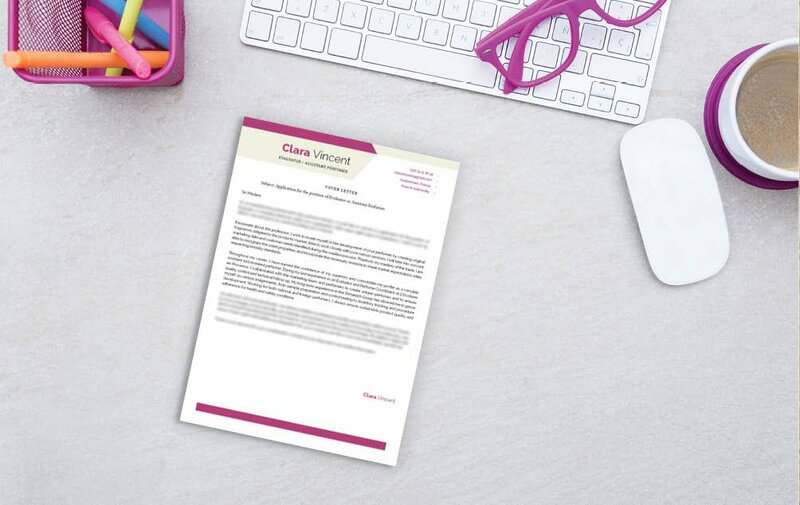 Applicants that have a solid set of skills and professional experience will greatly benefit from this Cover letter template as all the key content relevant to the job is clearly presented to your potential employer. That job as a Assistant Perfumer will be yours! What can you do to make a more eye-catching cover letter ?-Give it an effective and comprehensive design! That cover letter of yours is sure to land you a job. To make a well-organized cover letter , make sure to use professional looking fonts like Serif or Sans Serif. Choose a font size between 10 and 12 and use italic/bold font styles to help guide the reader's eyes along with your CV. Place bullets or graphics into key phrases in your cover letter that need emphasis. Lastly, give your cover letter a logical format by using wide-margins, heading, and subheadings.